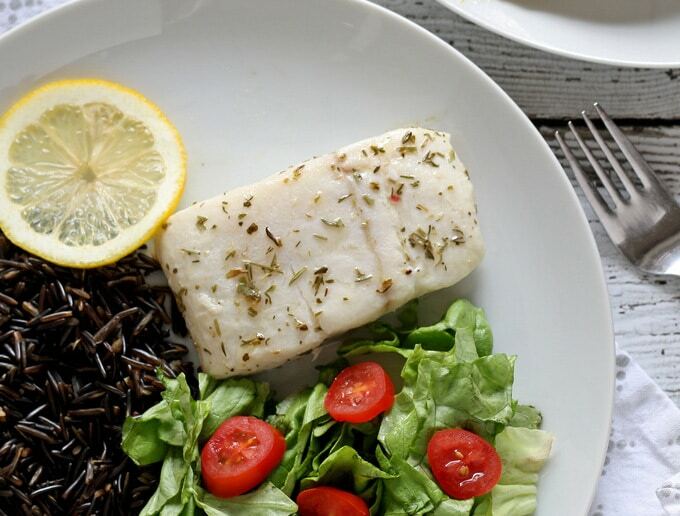 Easy Baked Alaskan Halibut - 30 Minute Dinner! 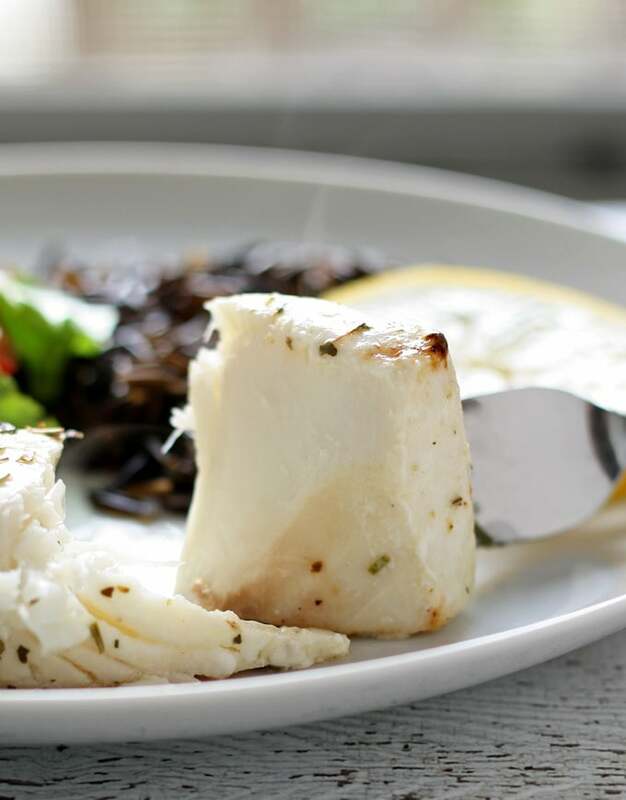 Looking for baked halibut recipes? 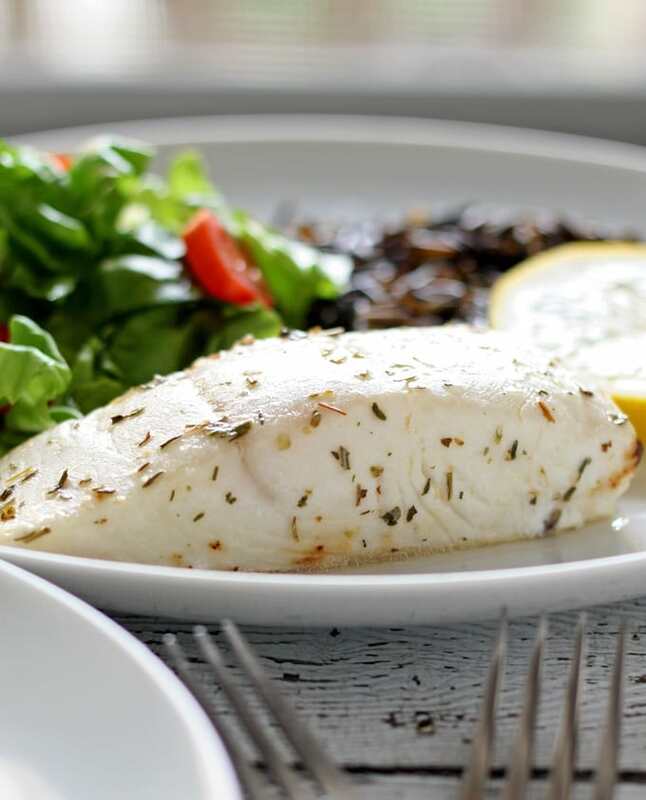 This easy baked Alaskan halibut recipe can be on the table in under 30 minutes. Serve it with rice and a simple salad. If you are here looking for garlic chicken, I unfortunately don’t have a recipe for that any where on my site. Nor do I know why all of those pins on Pinterest direct you to my halibut recipe. The recipe you are looking for is here at Cooks.com. Thank you Alaska seafood for sponsoring today’s post! If you follow my blog regularly, you know that back in December I had an allergic reaction to crickets, which led me to find out I am allergic to shellfish. Can we all commiserate together? It was quite a shock. At my birthday dinner a few months earlier I had celebrated with large amounts of shellfish. Everyone should eat large amounts of shellfish, all of the time… unless they are allergic to it. I mourned some of my favorite foods (particiulary lobster, crab and shrimp) for a little while. Then I decided to take the matter into my own hands. Just because I can’t eat shellfish, it doesn’t mean I can’t eat fish. Making fish at home is very easy and you can find really great fresh and frozen Alaskan seafood at the grocery store nowadays. Did you know Alaska supplies nearly 60% of the nation’s seafood and about 90% of North America’s salmon comes from Alaska? That is pretty amazing! I’ve started checking the packaging of frozen fish and making sure it’s from Alaska before buying. 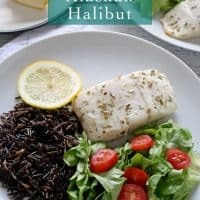 I decided to use halibut for this recipe because I love it and I feel like it may not be cooked at home as much as it should be. I pondered making a number of baked halibut recipes but decided to stick to an easy halibut recipe. 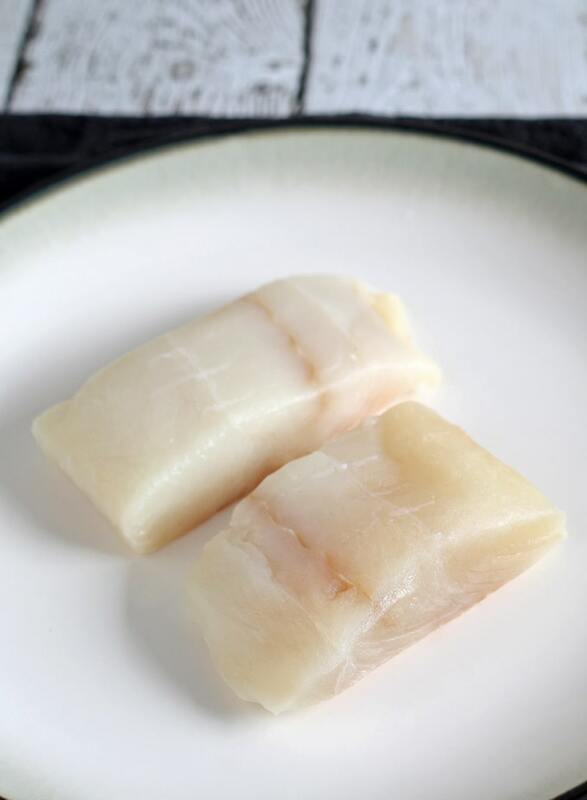 Halibut doesn’t have a lot of natural oil so it’s important to keep it moist, otherwise it will dry out fast. There are a lot of different ways to cook halibut. You can grill it, bake it or fry it in a pan; as long as you make sure it is moist it will be delicious. We basted halfway through the baking process and ended up with flaky and juicy meat. I made up a quick lemon butter and used that to oil the baking dish and to baste the fish. It may be simple but it is simply delicious. I don’t usually baste with butter but I thought it would be okay with halibut. 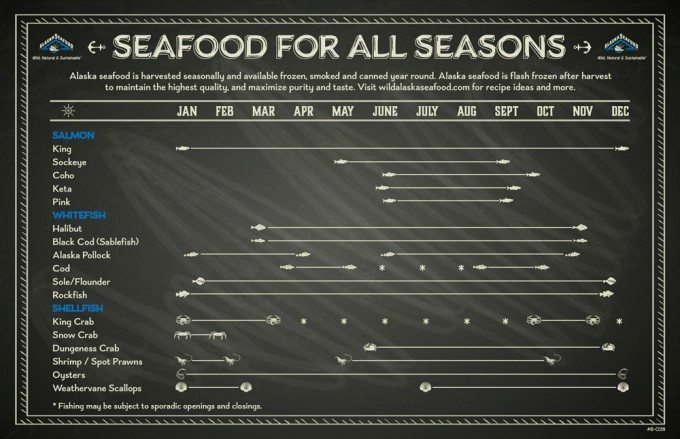 Alaska seafood is really good for you – it’s high in protein, low in saturated fat, low in sodium and one of the best sources of heart-healthy omega-3 fatty acids. This made me feel so much less guilty about all of the butter. Everything in moderation, right? I served the baked halibut with a small side salad and some wild rice. It was so easy to make and so quick that it is now on our weeknight rotation. You can never have too many delicious 30-minute meals! 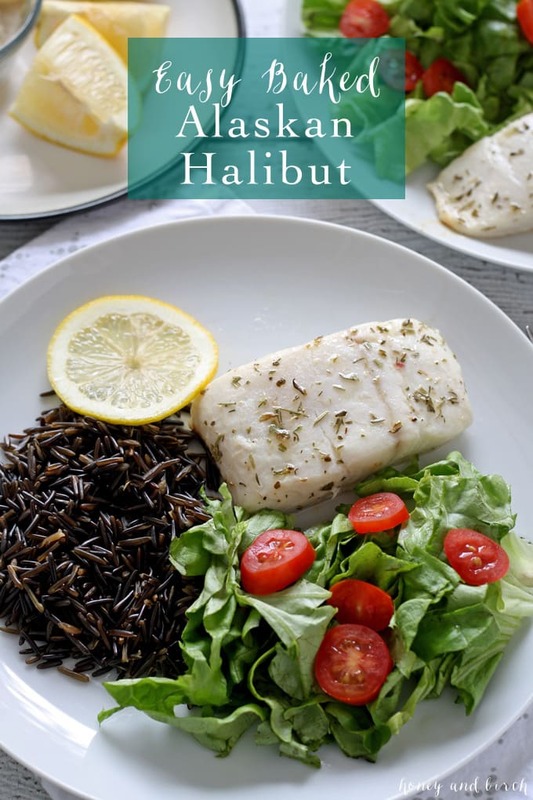 This easy baked Alaskan halibut recipe can be on the table in under 30 minutes! Serve it with rice and a simple salad. In a small saucepan, melt the butter over medium heat. When the butter is melted, add the lemon juice, sea salt and herbs de provenance. Stir well and turn off heat when all the ingredients are combined. Use a brush to grease the bottom of a baking dish with the butter mixture. 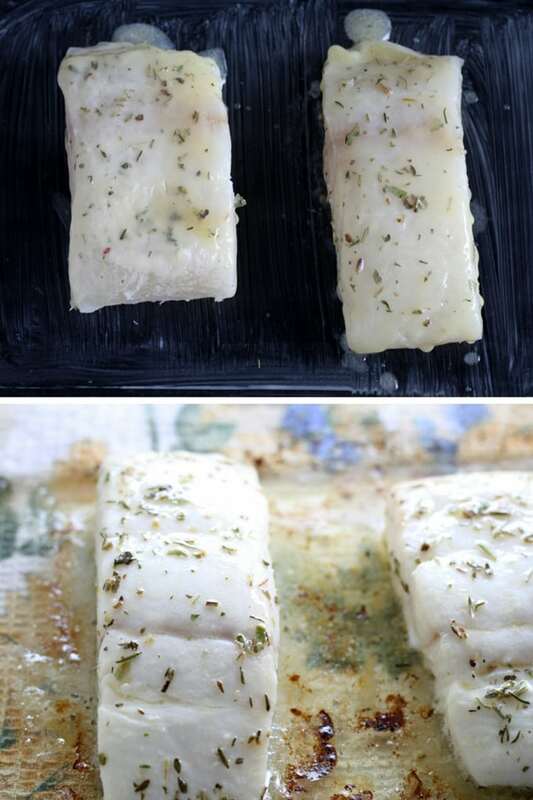 Rinse the halibut filets and pat dry with a paper towel. Place the filets in the baking dish. Brush more of the butter mixture on the halibut filets, making sure that they are completely covered in butter. Place the baking dish in the oven for 15 minutes. Halfway through, remove the dish and baste with the butter mixture. After 15 minutes, remove the dish from the oven and baste with the butter one more time. Looking for more 30-minute meals? Try these easy loaded burrito bowls or this cheesy tomato pasta skillet! I can’t even fathom salmon that is not Alaskan, shudder. This halibut looks great, that’s one fish I haven’t tried to make. Thanks for sharing on the Tasty Tuesdays Linky. Hope to see you back next week. Before anything else…you’re allergic to crickets? How would one even find that out? My first thought was that you meant you ate a cricket (it’s a food blog), but perhaps one bit you? Sorry, curiosity is one of my defining character traits. Now, related: do you buy the Herbes de provence pre-mixed or mix yourself at home? Anyway, recipe looks great and I’m going to pin it right now before I forget. p.s. I found you on the “Wonderful Wednesday Blog Hop” on Recipes for our Daily Bread. p.p.s. Planning on going to check out your Pinterest page right now! I make my own and buy them from the store – I live in Chicago and stop in at one of the Spice House’s stores here when I’m buying pre-made. You can buy it online from them if you’re interested (thespicehouse.com) It’s one of my favorite herb blends! And I’ll be sharing my mixture here soon! We are big fish eaters at our house and this looks like one we would love. I am going to have to try this soon! Thanks again for stopping by the Thursday Favorite Things Blog Hop! I love halibut. I really love that chart that you posted for the seasons I plan on putting a copy on my cookbook. Thanks for sharing on Merry Monday. What a deliciously simple way of preparing fish. I am featuring you this week, over at Simple Supper Tuesday. We hope you can join us again, starting Monday night at 8pm EST. Thank you so much Cindy! It’s super yummy while being easy to make at the same time! Thank you Kait – next time I make it will test out making it crusty! This was WAY overcooked unfortunately. Have looked at other recipes after overcooking our (expensive) halibut last night and most say 12-15 minutes total. Bummed about this…. I’m sorry this recipe didn’t work for you, Lindsay. I have made it several times with the directions I specified with positive results each time. I can troubleshoot with you if you’d like. If you want to email me directly, my email is jennyb@honeyandbirch.com or I will keep an eye out for any future comments here. So glad to hear that Kathy and thanks for the feedback! Have a great weekend! I made this recipe with minor adjustments. It turned out perfect! The recipe is fantastic! This is the first time my family has tried halibut. The herbs I used were fresh Thyme and Rosemary. I used my Ninja chopper to finely chop the herbs and place them in the butter. It was awesome! I’m so glad to hear you liked it and your adjustments sound delicious. I’m going to try them out the next time I make this!